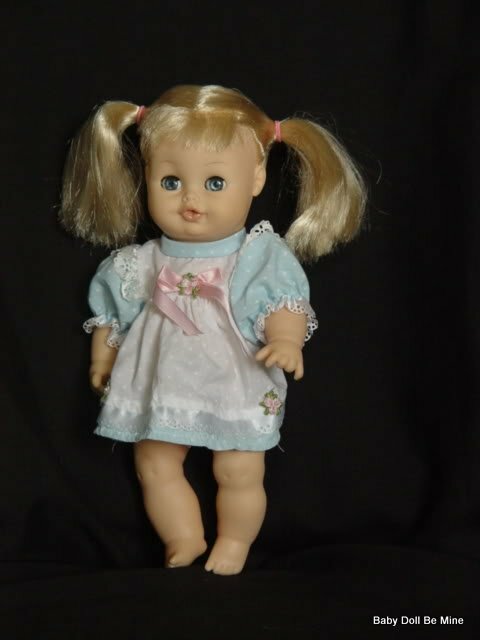 This beautiful doll is Mollie who is number 18 from a very limited edition of only 20! 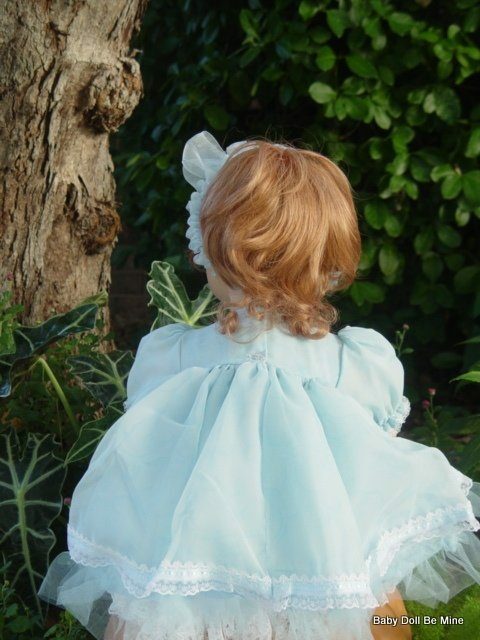 She is wearing an adorable pale blue dress with puffy lace trimmed sleeves and pretty organza ribbon flowers at the bodice. Under her dress is a lace trimmed half slip, white lace trimmed pantaloons, white lacy tights, and blue t-strap shoes. 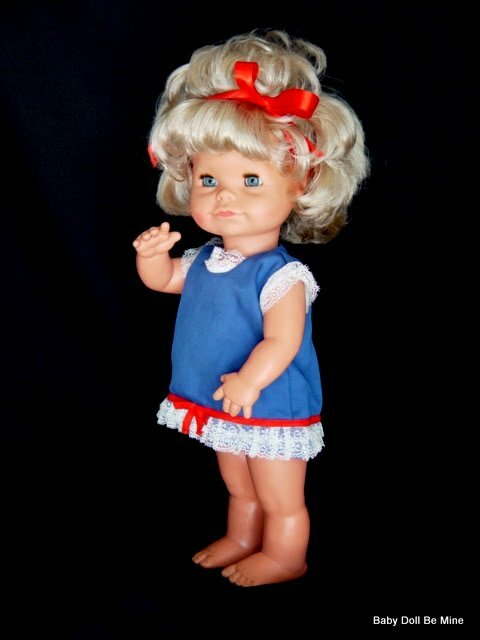 Mollie is about 26 inches tall and has a vinyl head and ¾ length vinyl limbs on a soft cloth body that is weighted. She comes to you in her original box that identifies her as 18/20 and also matches the number on the back of her neck, as well as her COA. We purchased her new and she has only been out of her box to take these photos. Mollie has very pretty strawberry blonde hair and brown eyes. She was sculpted by Peggy Dey and designed by Virginia Turner as part of Turner’s 2012 collection. Mollie also brings with her the sweet little puppy with matching bow. Props are not included.